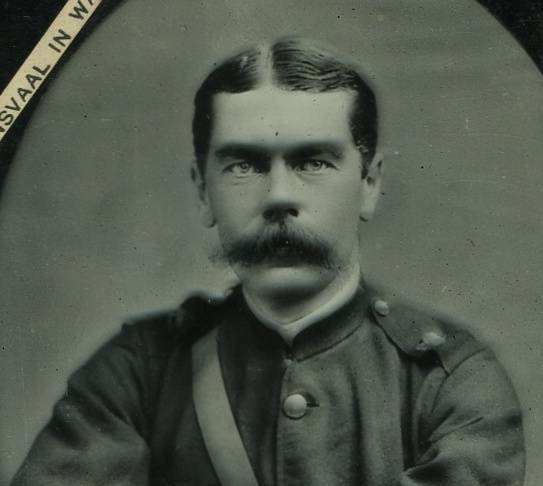 Lord Kitchener was born near listowel, Co Kerry (Ireland) on the 4th June 1850 of English parents. 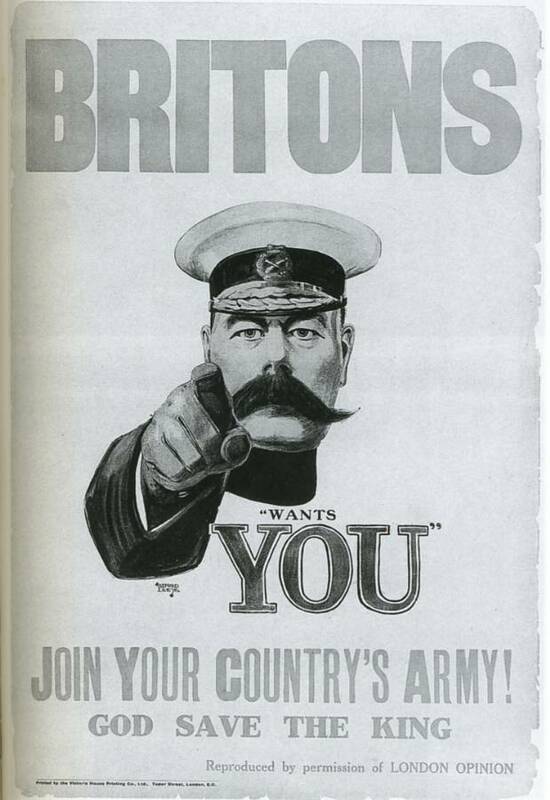 He is most famous for his iconic 'Your country needs you', recruitment posters during WWI. As secretary of state for war at the beginning of World War I Kitchener organized armies on an unprecedented scale and became a symbol of the national will to win. Commissioned in the Royal Engineers, in 1886 Kitchener was appointed governor of the British Red Sea territories and subsequently became commander in chief of the Egyptian army in 1892. In 1898 he crushed the separatist Sudanese forces of al-Mahdi in the Battle of Omdurman and then occupied the nearby city of Khartoum, where his success saw him ennobled in 1898. In 1900 he became commander in chief of the Boer War, where he ruthlessly fought the guerrilla resistance and brought British victory. On returning to England in 1902 he was created Viscount Kitchener and was appointed commander in chief in India. In September 1911 he became the proconsul of Egypt, ruling there and in the Sudan until August 1914. When war broke out, Kitchener was on leave in England and reluctantly accepted an appointment to the cabinet as secretary of state for war. Flying in the face of popular opinion, he warned that the conflict would be decided by Britain's last 1,000,000 men. 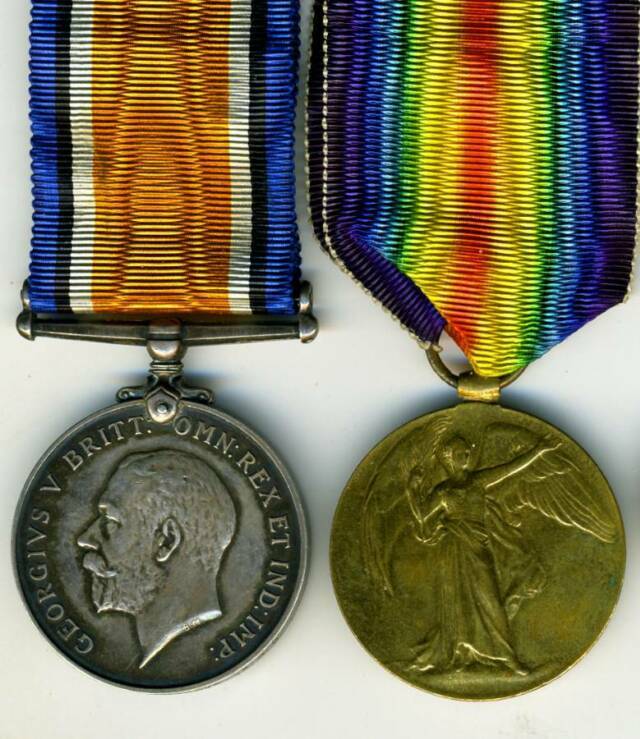 He rapidly enlisted and trained vast numbers of volunteers for a succession of entirely new 'Kitchener armies'. By the end of 1915 he was convinced of the need for military conscription, but never publicly advocated it, deferring to Prime Minister Asquith's belief that it was not yet politically practicable. 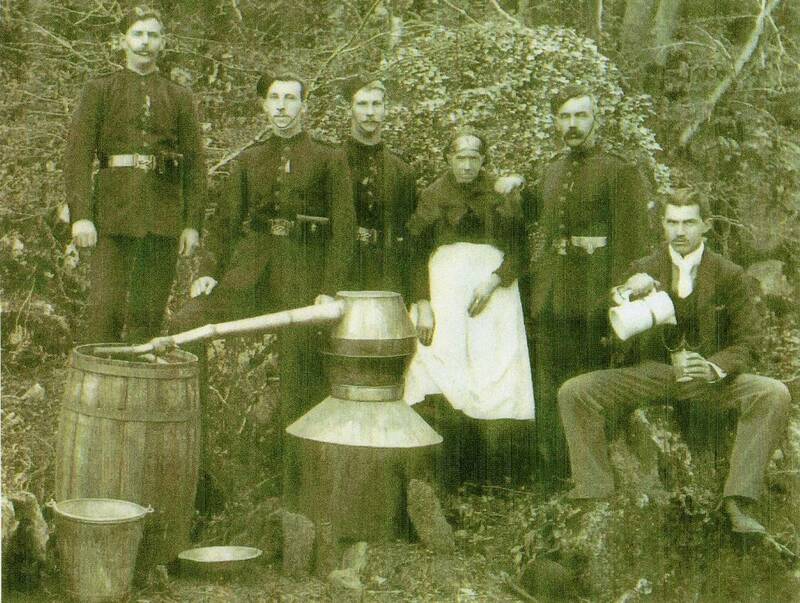 In his recruitment of soldiers, planning of strategy and mobilisation of industry, Kitchener was handicapped by bureaucracy and his own dislike for teamwork and delegation. His cabinet associates did not share the public's worship of Kitchener and gradually relieved him of his responsibilities for industrial mobilisation and then strategy. He was killed in 1916 when HMS Hampshire was sunk by a German mine while taking him to Russia. .643 of the vessels crew of 655 also died on that day. 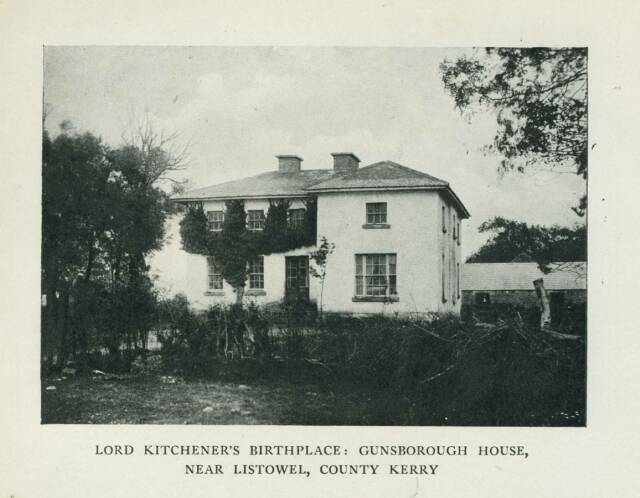 Gunsborough House, Near Listowel, Co Kerry - Kitchener's Brithplace. 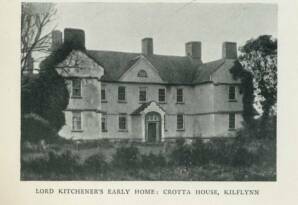 The Kitchener early Home, Crotta House, Kilflynn. We hope you found this section of interest. Plese click on the 'Books for Sale' Link (Top of Page) for Police & Military titles. All enquiries, images & correspondence greatly appreciated. 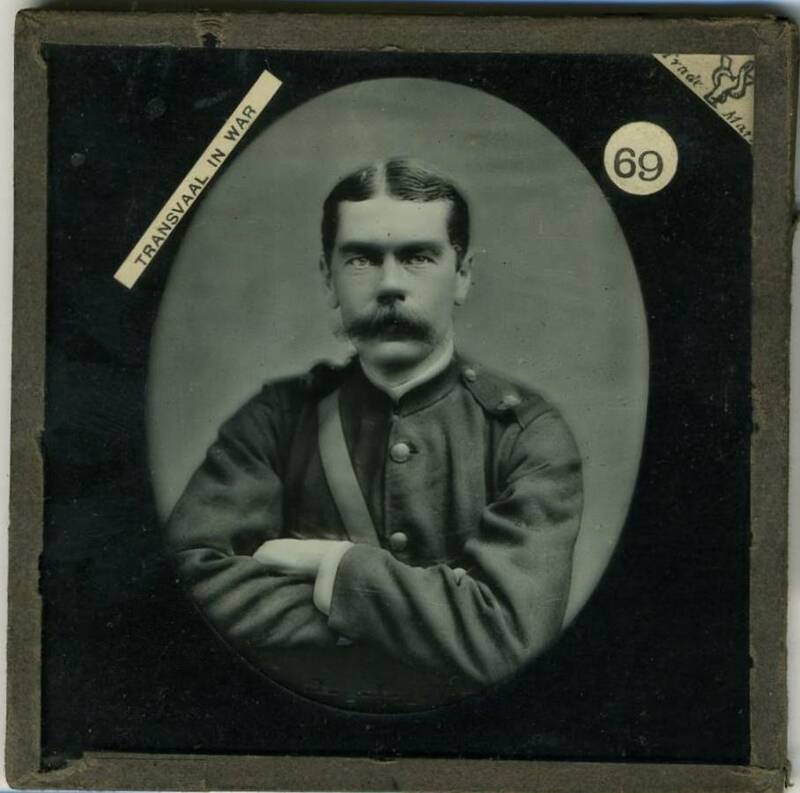 Early Lantern Slide of a younger Lord Kitchener.